Overdentures are replacement teeth retained by dental implants. 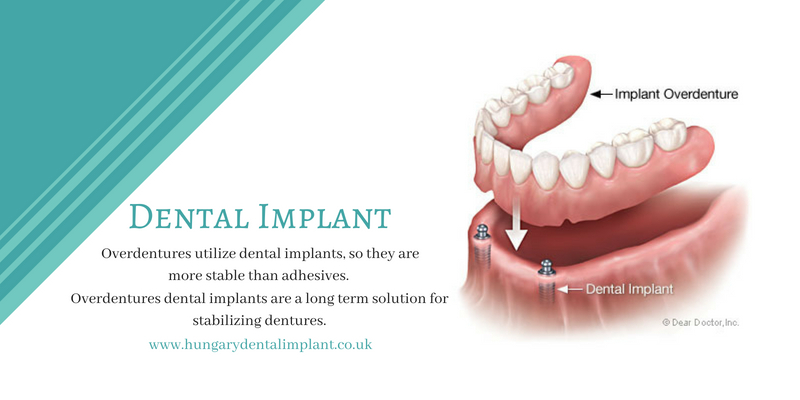 A denture supported by implant is a type of over denture that attached and supported to the jaw bones. Overdentures dental implants are a long term solution for stabilizing dentures. It promotes better digestion and Poor fitting dentures are often held in by using adhesives. Overdentures utilize dental implants, so they are more stable than adhesives. Placement of two conventional dental implants in the lower anterior (front/chin) jaw, and attaching solitary anchor systems (ball-abutments). Consequently, bone continues to melt away over time behind the implants. As bone melts away, the overdenture procedure will no longer adapt/fit the tissues. A brief explanation of the stages involved in placing implant-supported dentures.